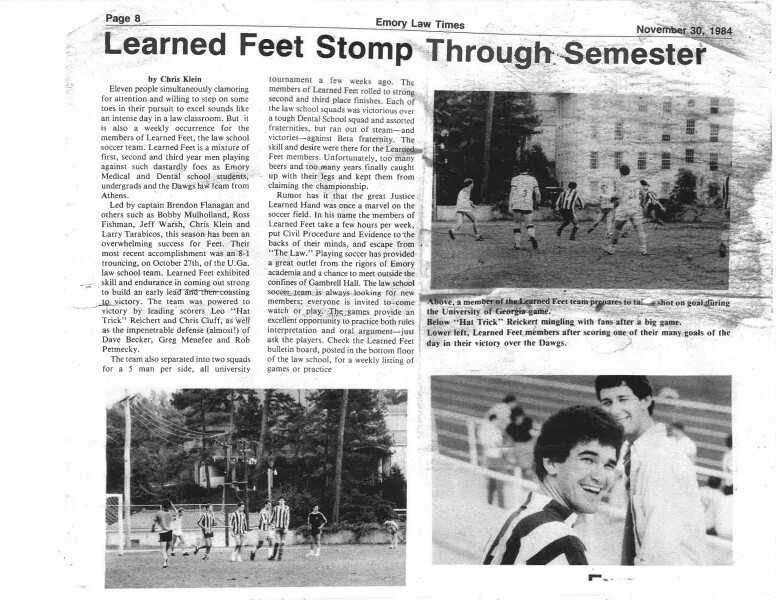 Our very own Chris Klein, wrote this article back in 1984 about his Emory Law School soccer team, Learned Feet. Please note that Chris and Rob Petmecky were on the same team even then. Enjoy!